How many of you or your families were treated by deceased Springfield GP and surgeon Dr. Albert Kwedar, his deceased ophthalmologist brother Dr. Edward Kwedar, or Albert’s retired ophthalmologist son Dr. Stephen Kwedar? Do any of my readers currently see Edward’s son Dr. John Kwedar, a long-time ophthalmologist with Springfield Clinic? Today I talked briefly to Kwedar family matriarch, Helen–Drs. Albert and Edward Kwedar’s 97-year-old sister–and Drs. Stephen’s and John’s aunt. Helen told me that she and Albert and Edward also had a sister, Anna, deceased. The family got started in America when Helen’s father Thomas Kwedar immigrated from Lithuania, probably around the turn of the century. Helen said Thomas was 21 when he came to America, first to Pittsburgh, where he worked in a steel mill. He married Pennsylvania-born Lithuanian-American Victoria Shupenus, daughter of Anthony and Helen Zwinak Shupenus. After the steel mill where Thomas was working closed, he and Victoria moved to Springfield because of relatives here, and because of the availability of work in the local coal mines. Helen also says her parents were diligent savers because they planned for all their children to go to college. Unfortunately, the Pana bank holding the family’s accounts failed after the 1929 stock market crash, when Helen was 13. Her two brothers somehow still managed to graduate from college and U of I medical school. Helen attended night school at Springfield College in Illinois. According to Edward’s son, Dr. John Kwedar, Dr. Albert was a classic GP of his era, working 80 hours a week and rarely seeing his family as he made house calls all over Sangamon County, setting broken bones and delivering babies–in between office hours, hospital rounds and performing emergency appendectomies and other types of surgery. John says Dr. Albert’s most cherished memories were of the two sets of triplets he delivered at home–all of whom survived. One set of triplets he delivered on a farm had to be placed in the family’s oven to keep warm. Another interesting fact about Dr. Albert is that he secretly married his sweetheart Ruby, also of Pana, in Chicago while he was a resident at the U of I’s Chicago Medical Center in resident housing and she lived nearby. Ruby was accomplished in her own right and later served as president of the Illinois State Medical Society Auxiliary. Dr. Albert’s son Stephen “re-activated” the Eye Department at Springfield Clinic (which had been dormant for eight years) when he joined the Clinic in 1972. 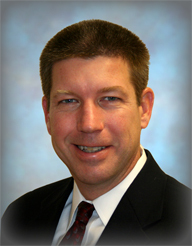 A graduate of Northwestern University Medical School and residencies at the University of Oregon and Barnes Hospital in St. Louis, Dr. Stephen preferred practicing in a large multispecialty group. He brought many new techniques to Springfield, including: intraocular lens implantation, phacoemulsification, trabeculectomy, and trabeculoplasty, photocoagulation of diabetic retinopathy and retinal holes, dacryocystorhinostomy, the YAG laser and laser iridectomy. Dr. Stephen also helped Springfield Clinic’s Eye Department found its Optometry section. Dr. Albert’s son Michael, who died at 51, had a successful career as an administrator for the City of Springfield and the Illinois Dept. of Corrections and held advanced degrees in political science and public administration. Dr. John’s father, Edward W. Kwedar, who taught at the SIU School of Medicine, died at 79 in 2011 at his home in Springfield. He was born on Thomas and Victoria’s farm near Pana in 1931. He had married Dorothy Lashmet in Evanston, IL in 1957. Dr. John says ophthalmology appealed to the Kwedar M.D.s who followed in Dr. Albert’s footsteps due to the more predictable schedule and the fine motor skills involved in surgery on the eye. The Kwedar M.D. tradition continues with one of Dr. John’s daughters currently in medical school at the University of Missouri and another daughter in nursing. Melissa Kwedar was Dr. Steve Kwedar’s daughter. They lived on Orendorff Parkway at the time of her passing. Dr Albert Kwedar was a very kind man-he was our family doctor. He even delivered me at St. John’s Hospital! I didn’t like those penicillin shots, though! Our whole family went to Dr Kwedar when growing up as children. My husband is a patient of Dr John now. the article on to others. Iam not sure which Dr. Kwedar it was, but when I was about 5 years old one of them had to remove my finger nail because of an infection. I remember that vividly and even more that it didn’t hurt! My Step-Grandpa Paul Gestautas went to Dr. Kwedar. One of the widows to a brother or nephew next to me in Falling Brook?